Steven Universe is a popular television show premiering on Cartoon Network in America... or at least it was! The last three episodes of the show premiered not in the heroic land of the free, but instead in France. This caused the fan base to fall into chaos, triggering many fans. Why would the show creators risk the lives of their fans in such a way? Was it simply an international scheduling issues, or were more sinister forces at work? The answer is, of course, that more sinister forces were at work. Long term fans of the show have long known of the French influence on Steven Universe, and realise that this latest move is just the latest in a calculating plan set out by the show's creator, Rebecca Sugar. But what is the endgame of this master plan? The show is rife with French imagery and themes. 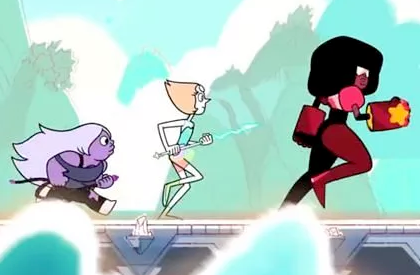 Most obviously, the Crystal Gems are the colour of the French flag once colour shifted to escape US censors: red (Garnet), blue (Amethyst) and white (Pearl). In this way, the viewer is constantly exposed to the French flag, and taught to correlate their heroic figures with France. Even Steven's main colours are that of the French flag - blue (his shorts), red (his t-shirt) and white (his eyes and teeth). Popular characters like Onion continue this - Onion's head is of course shaped like an onion, a classic French delicacy. Beach City is built around traditional French foods such as FRENCH fries (or frites), fish, donuts and pizza. The Crystal Gems are also beautiful, like all French people. The UK, which is an ancient enemy of France, is often forced to censor the show. So the French influence is strong. But aside from the impact on the minds of American children, why is this such an issue, and why would Cartoon Network premiere the show in France? What possible reason could there be? There is a far more darker influence that show creator Rebecca Sugar (or Rebecca Sucre as she is known in France) has placed in there for the unwary. 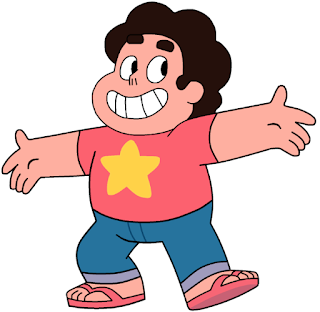 The hero of the show is Steven Universe himself. Steven is a shown to be especially small for his age, but charismatic and a leader. He seems a laudable character... until you realise that a similar person from history is Napoleon! Napoleon was considered the most evil man of his age. He was a short military leader who was charismatic and tried to conquer the world. Rebecca Sugar constantly ties the character of Steven to the villainous Napoleon, conditioning the audience into seeing Napoleon as a hero. For example, Napoleon was exiled to the island of Elba. He escaped the island, and the French government sent the army to stop him. 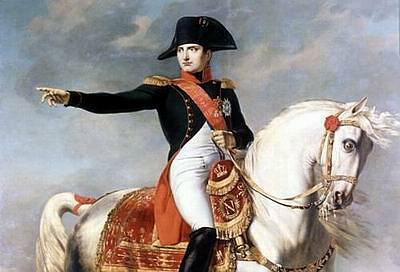 Napoleon stood in front of the army and using his charisma, turned them to his side. He then led the same army sent to stop him to invade Paris and declare himself emperor! Does this sound familiar? It should! In the Steven Universe episode 'Super Watermelon Island' this story is played out beat for beat. 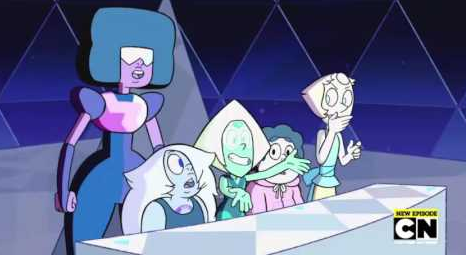 Set on Mask Island (Elba), Steven Universe (Napoleon) convinces the living watermelon people (the French army) to turn on their peaceful god Malachite (the democratically elected government of France) and destroy her, no matter the cost to their own lives! Another example is seen in the episode 'It Could Have Been Great'. Here, we see a map of the world, a world similar to ours but with one major difference - the centre of Russia is missing, replaced by a massive crater. Could the nuking of Russia in Steven Universe be Rebecca Sugar's revenge for Napoleon's failed 1812 march on Moscow? It seems likely. So Steven Universe features imagery to make the audience love the French and Napoleon in particular? But there is one more chapter to this chilling tale. 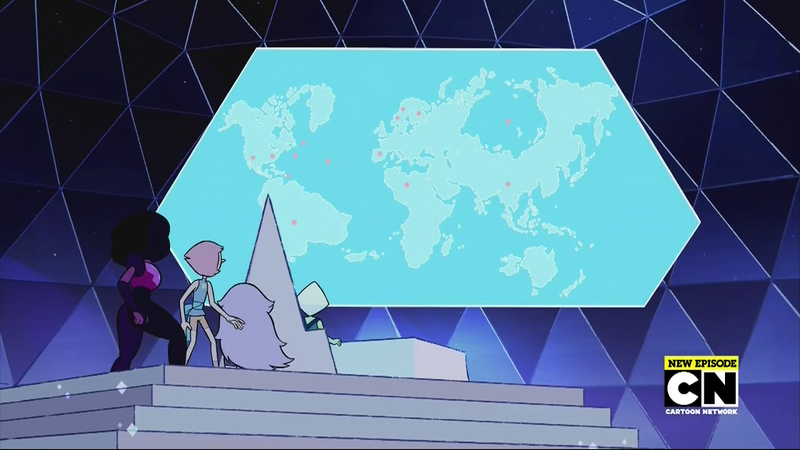 In the episode 'It Could Have Been Great', Peridot (who is the most popular character and thus an authorial mouthpiece, giving us insight into the mind of Rebecca Sugar) suddenly gives a long speech about the benefits of colonisation. Why does Rebecca Sugar want us to think this is so great? The answer is in the reason why episodes are now premiered in France. By this point, fans of the show are conditioned to love the French, love Napoleon and think colonisation is great. By making episodes available in France first, fans will feel themselves compelled to move to France and become French citizens in order to continue enjoying Steven Universe. Is Rebecca Sugar a shadowy agent of the French government, determined to stop the 'brain drain' of academics and geniuses moving to get jobs in America by luring them back to France with the promise of cartoons? Or has she used the profits from the show to buy up large French housing developments? All we know for sure is that the sweet spell of Steven Universe is being woven to lure the youth of America not to study, but to France! Steven Universe is a clever show which the creators have said should be overanalysed, proving the existence of many mysteries within. One of these mysteries recently revealed itself with the latest episode 'Same Old World'. 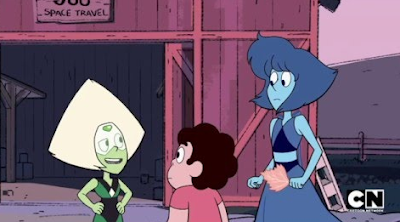 Some fans were left reeling, feeling betrayed and attacked and triggered by the sight of Peridot's enormous hair. Other, wiser fans knew that the show staff would not endanger fans in such a way, and that this was in fact the final key to the secrets of Steven Universe. Game of Thrones fans around the world celebrated when Jon Snow was unexpectedly brought back to life in season 6 of Game of Thrones (spoilers). But what if he wasn't? 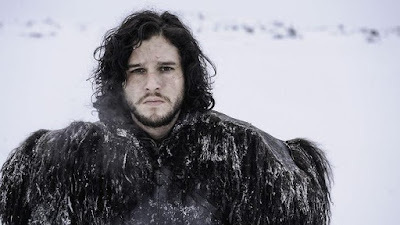 Can we be sure that the man walking about in Jon Snow's body is actually Jon Snow? There is actually far more evidence to suggest that it is actually the ghost of Stannis possessing his body! Hodor hodor, hodor hodor hodor hodor? 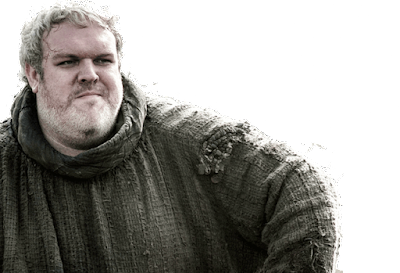 Hodor, hodor hodor hodor hodor, hodor hodor? Hodor. 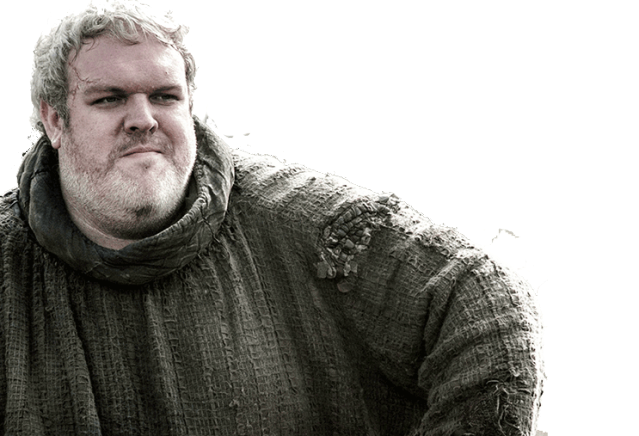 Hodor hodor hodor, hodor hodor hodor hodor hodor hodor hodor!